For the third year in a row and the second time this summer, DJUSA provided the sound production for a hot DJ lineup at the Ted Smooth Old School Jam, which is typically held monthly during the summer in uptown NYC. 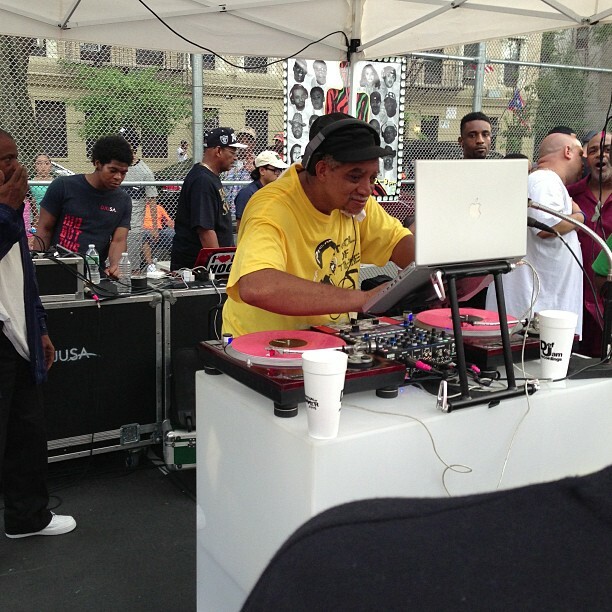 What initially started as a collective of New York City's DJs rockin' in a park transformed into a community event that the locals & out of town hip hop heads look forward to every summer! Through the use of U-stream and You Tube, the Ted Smooth Old School Jam is known globally with people tuning in from as far away as Japan and Europe. The hot DJ lineup that DJUSA supported with turntables and mixers included DJ Ted Smooth and the entire DJ collective Team Straightface. 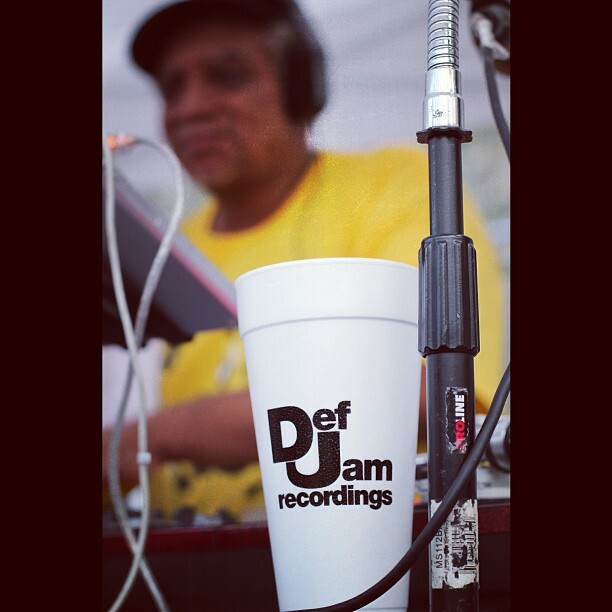 This month's Ted Smooth Old School Jam was partially sponsored by Def Jam Records, and featured legendary Kool DJ Red Alert who is recognized as a hip-hop pioneer. 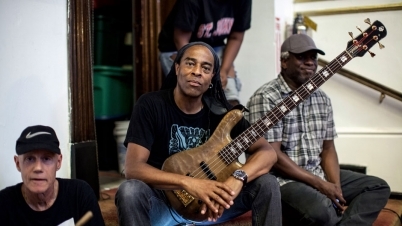 He helped launched artists including A Tribe Called Quest, Queen Latifah, and Black Sheep. DJUSA was honored to work alongside Kool DJ Alert as he rocked an amazing old school set. 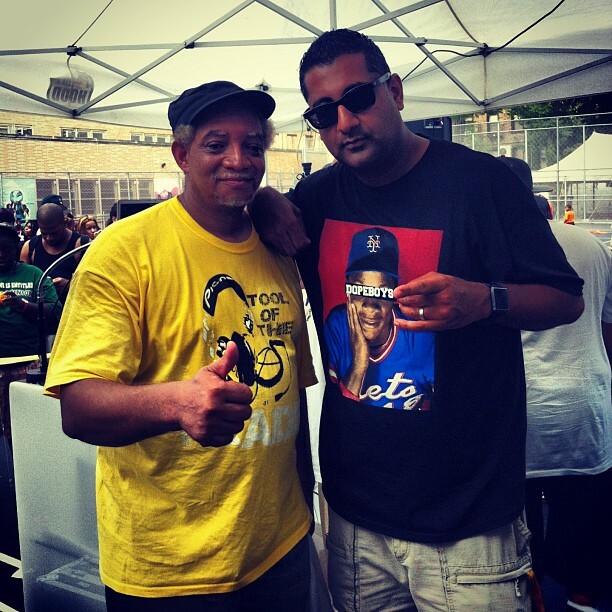 Check out pics from the Ted Smooth Park Jam with Kool DJ Red Alert! 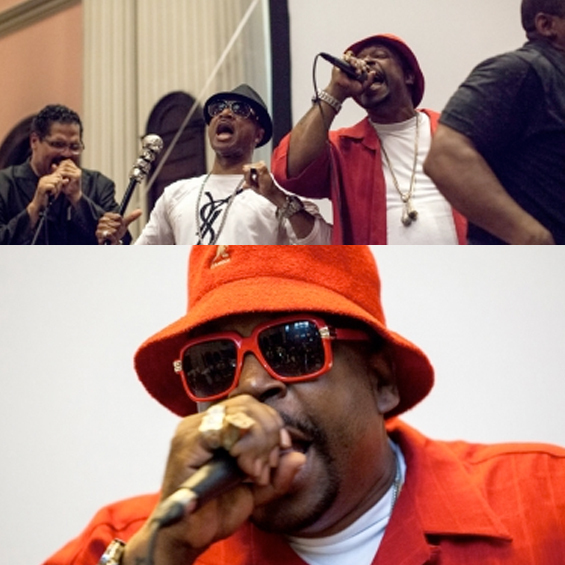 Left: DJ Kool Red Alert with DJ Sharad; Right: DJ Kool Red Alert at work. 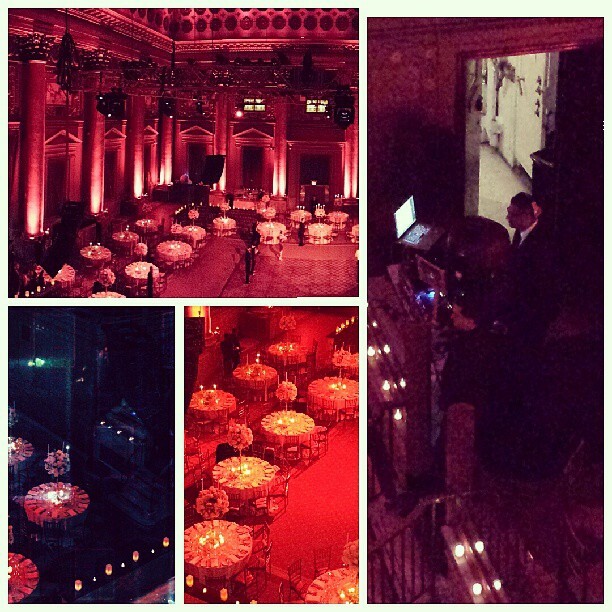 On July 10, DJUSA provided sound production for The Maysles Institute's charity event. The event took place in Uptown Manhattan, and featured the film screening – I Want My Name Back, Roger Paradiso's documentary film. 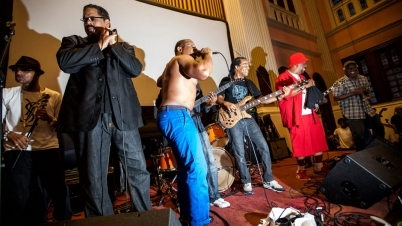 The evening also included a special performance of "Rapper's Delight" featuring Sugarhill's Master Gee, Wonder Mike, Grandmaster Caz with special guests Melle Mel, Dana Dane, DJ Wiz (Kid-N-Play) and Grandmaster Dee (Whodini), Keith LeBlanc, Vernon Reid and Doug Wimbish (Living Color). For the event, DJUSA provided its top of the line sound system – the Italian Line Array Supreme Sound System with dedicated sound technicians. 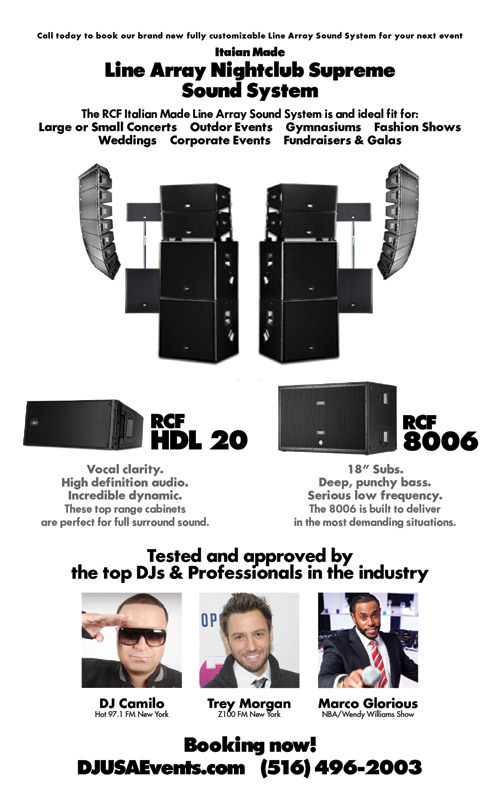 This system featured a monster Line Array Sound System. 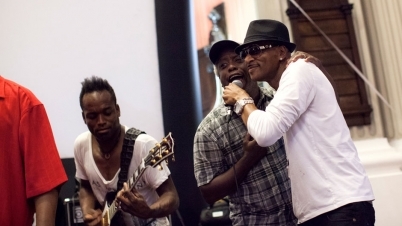 Check out pics from this exclusive charity event! 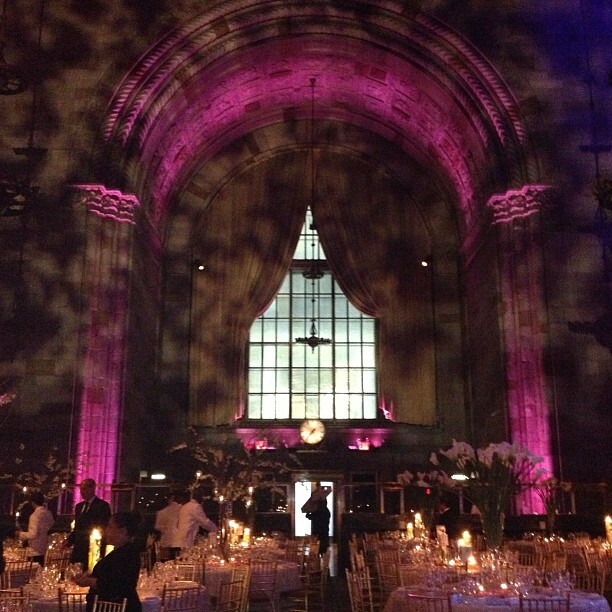 DJUSA spent three weekends in July rockin' private events in New York City's top venues including Capitale, Waldorf Astoria, and Cipriani. 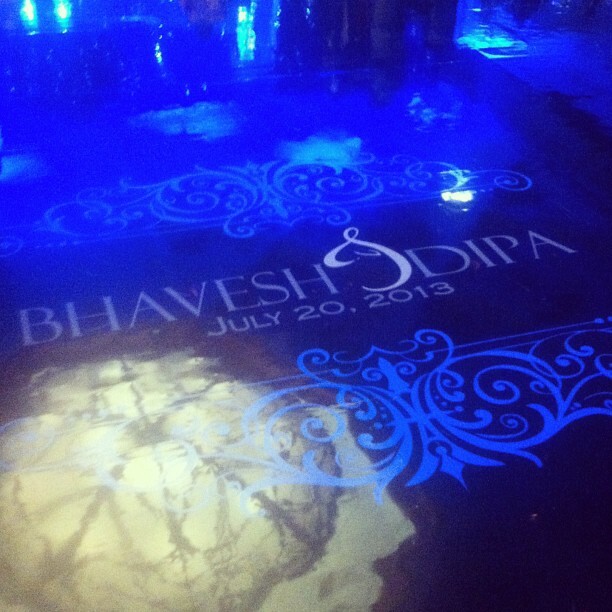 On the July 6 weekend, DJUSA provided a full suite of services for a client's wedding. This premiere wedding featured DJUSA's top of the line Italian made line array system, which helped to elevate the sounds in Waldorf Astoria's exquisite ballroom. Guests danced the night away on a high-end white dance floor and took pictures at the step & repeat - both designed and built by DJUSA. LED lighting, pinspotting, plasma screens were also provided to make the couple's wedding reception even more beautiful. Entertainment was provided by DJUSA's MC Marco G.
At the same time of the Waldorf Astoria event, another DJUSA crew was keeping the dance floor packed with hot music at Capitale. 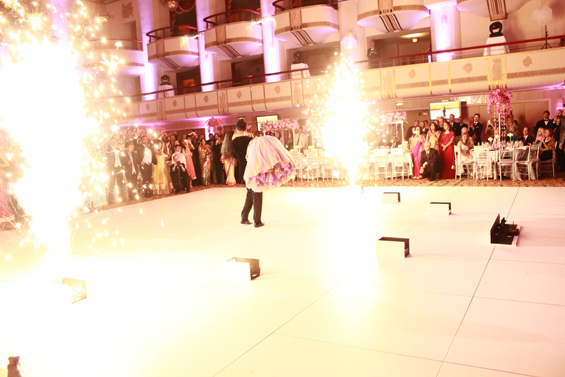 This wedding featured DJ's Sharad & Rohit and MC Kayo. 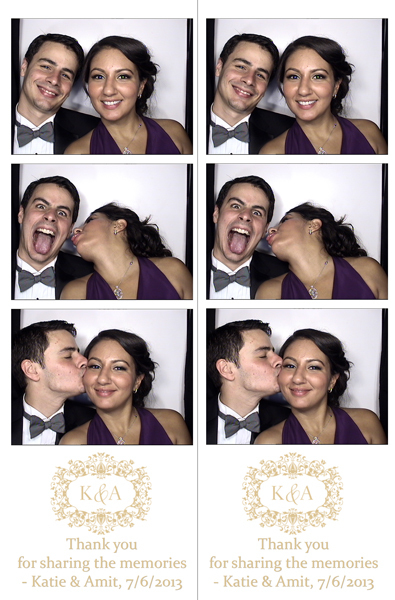 DJUSA set up a photo booth, which guests created their own Coney Island style photo strips customized with the couple's wedding monogram. 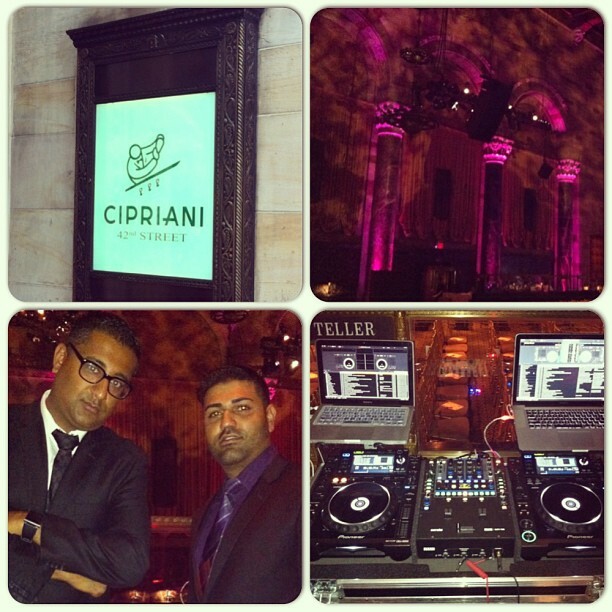 Later in July, DJUSA was back in the city again rockin' another wedding at Cipriani's. 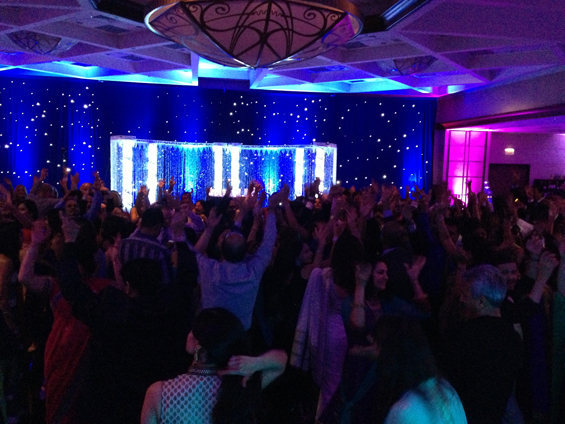 This wedding featured DJUSA's DJ Sharad & Karan and MC Max. 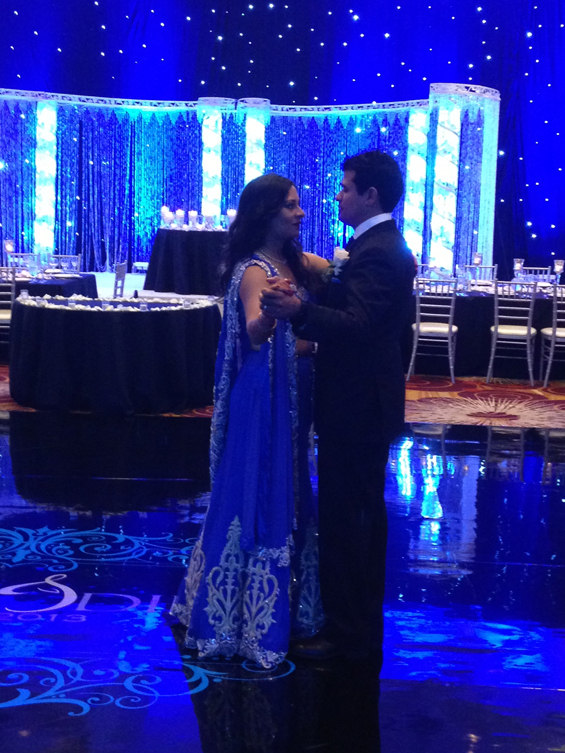 Both Sharad and Karan co-DJed the events bringing their own music styles to the dance floor. The month of July kept DJUSA busy in the Midwest. DJUSA's DJ Juicy and event manager Manoj Mathew rocked a two-day wedding at the Marriott O'Hare in Chicago and exceeded client expectations with his music. DJ Juicy catered to the crowd with a unique blend of music that entertained both the older and younger generations. If you are looking to have an event outside the tri-state area, then consider DJUSA because state borders mean nothing to us! 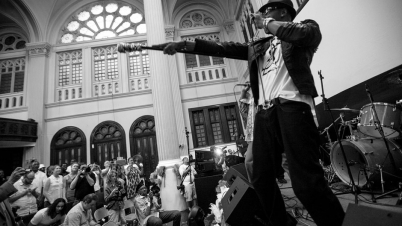 MC Freddy has been performing for crowds at all types of events for almost 20 years. 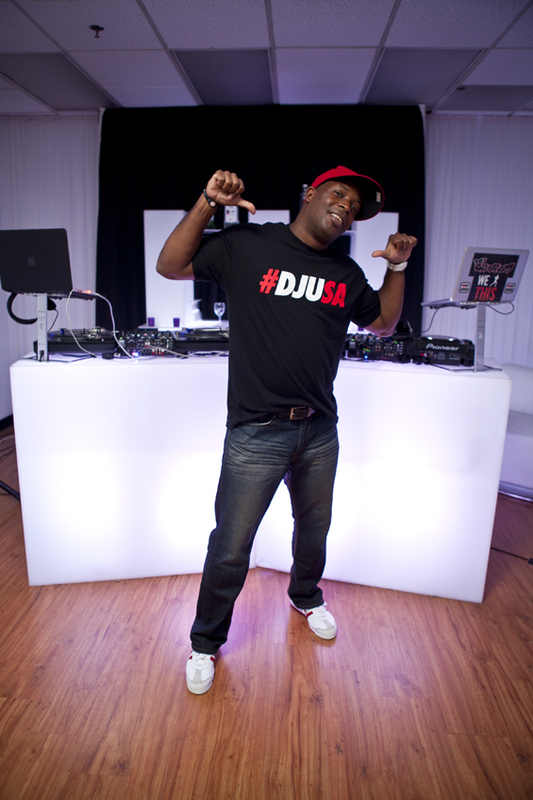 Aside from being a professional event host, he is also a seasoned DJ. Understanding both sides of party entertainment ensures that Freddy can help you and your guests have a great time. I have always been a DJ at a young age while growing up on Long Island. When I was 14, I started making mixed tapes and then started spinning in teen clubs when I was 16. I got serious about taking on a DJ/MC role when I responded to a newspaper ad in 1998. At the time, I was home from college working at my part time job. My girlfriend at the time opened the paper to the classified section and saw that there was an entertainment company looking for DJ's for events. I made the call and went to the interview. 50 DJs showed up 2 got hired, one of those guys was me. During my first few years, I learned a lot about events, DJing, and how to be an MC. I stayed at this entertainment company for 8 years until it was time to branch and create better opportunities for myself in this industry. So i actually owe it to my girlfriend at the time for finding that newspaper ad that moment launched what has been an amazing career so far! I've been in the DJ entertainment industry for 16 years both as a nightclub/mobile DJ as well as one of the most sort after MC's in the business! How did you become an MC? Truth be told, I never really knew what a MC did when I came into this business. I always had a big personality. I'm great with people and crowds. I guess that was a good place to start when my boss at the time was hiring me to DJ and mentioned that I would be perfect as an MC. I did some party hyping as a DJ, but never observed a true mc work a party. I went out on an event just to watch one of the MC's at the time and he was amazing. I knew from there that I wanted to become the best MC I could be. I lost track of the number of events but has to be in the thousands by now and I am still finding ways to improve and bring happiness to every party I do. With my, "party with you, not at you" mentality, I feel like I am in the prime of my career. I've learned that you are only as good as your last party. If that is the case, I had 600 people rocking the whole night this past weekend and they loved it! I owe everything to DJing! I have been given the tools to be the dynamic MC that I have been told that am! On the real, I love music, every style, you name it hip hop, house, pop, rock, jazz, EDM, etc. Knowing the music so well allows me to time everything I have to say perfectly. I currently DJ at least 2 times a week with some regular club appearances. It is my passion and I am proud to say both my DJ and MC skills are at the top of the class. 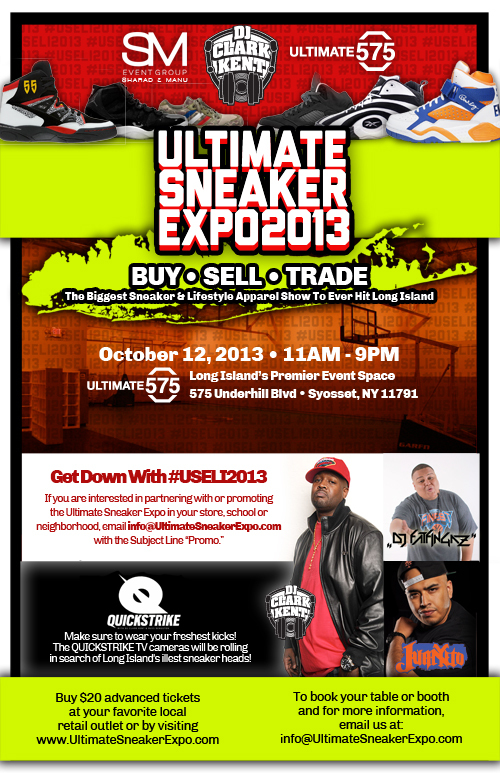 What do you think sets you apart from other industry MC's? I understand that clients have a choice in what MC they would like at their event. Clients point out likes and dislike while watching demos. I am proud to say that I make the choice easier to make. 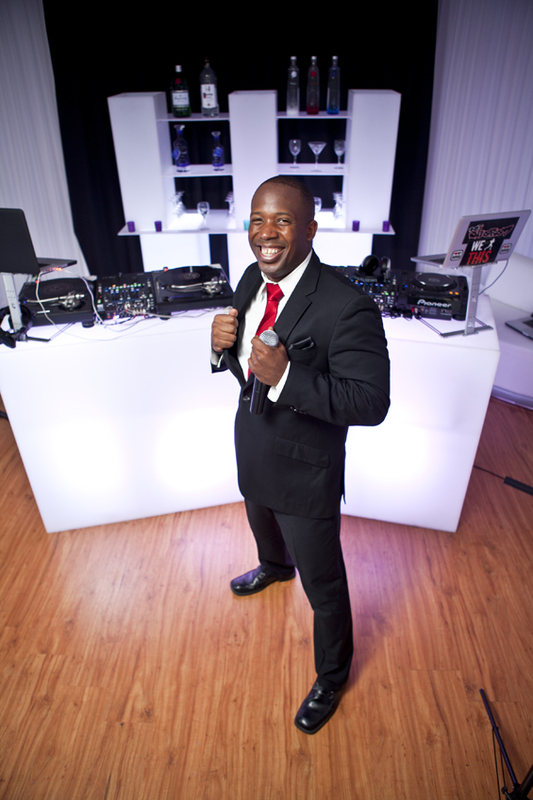 With MC Freddie - you get a very well-spoken, charming, gentleman on the mic, that brings the right touch of class mixed with high energy and excitement. I know whose event it is and it is certainly not the Freddie show. I will always party with you, not at you! Every client I work for, I treat like family. I know that it is the most important day of their life, and I bring their vision to life on the dance floor. I give my heart and soul to every event! I don't know if that sets me apart from anyone else, I just know that if you book me, you are going to have the time of your life! I joined DJUSA simply because they are the best at what they do! Hands down. They added my talent to their roster and we have been rocking ever since. Class, sophistication, style, you name it, they have it all at DJUSA. I'm proud to be a part of it!